Tarek AbdelMoneim from Eitesal, the leading ICT body in Egypt, chosen as MENA deputy in World Information Technology and Services Alliance WITSA. The World Information Technology and Services Alliance (WITSA) chose Tarek AbdelMoneim to be a member of the its board as its treasurer and a deputy chairman for the MENA region. WITSA held the meeting in Brasilia, Brazil to choose its board members for the period 2016-2018. 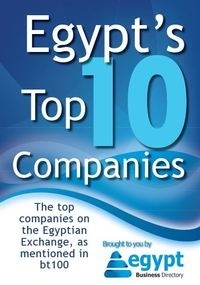 AbdelMoneim is a board member of Eitesal, the leading ICT body in Egypt. “During the next 2 years, Eitesal will work hard on expanding the opportunities and benefits that WITSA offers to its members as well as increasing communication with counterparts in Arabic and African countries which will allow for better mutual marketing with those countries. It will also allow for more presence of Egyptian companies which can create better trade and investment opportunities for Egypt” said AbdelMoneim. WITSA is a leading global organization in ICT and includes members from 80 countries that represent 90% of the ICT market.